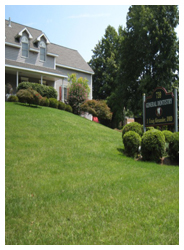 Cosmetic & Family Dentistry in Albany; Troy & East Greenbush, NY | J. Craig Alexander, D.M.D. Serving Albany, Troy & East Greenbush, NY! I have been at this location since 1989. I renovated an old family homestead keeping the original barn. While extensive renovation was required we managed to keep part of the original farmhouse as part of the office and living quarters that is above my dental office. We have a large but cozy reception area with comfortable seating. We are handicap accessible and have a large, convenient parking lot. Whether you need general dental services or major dental work, such as cosmetic dentistry in the Albany, NY area, we’re here for you. From mini dental implants & treatments for gingivitis to root canals and a variety of cosmetic dentistry services, we do it all. It’s our mission to deliver excellent dental care in a warm and inviting atmosphere. At J. Craig Alexander, D.M.D. General Dentistry, we’re dedicated to helping you achieve the beautiful smile that you deserve!